Five records that need to be released on vinyl. 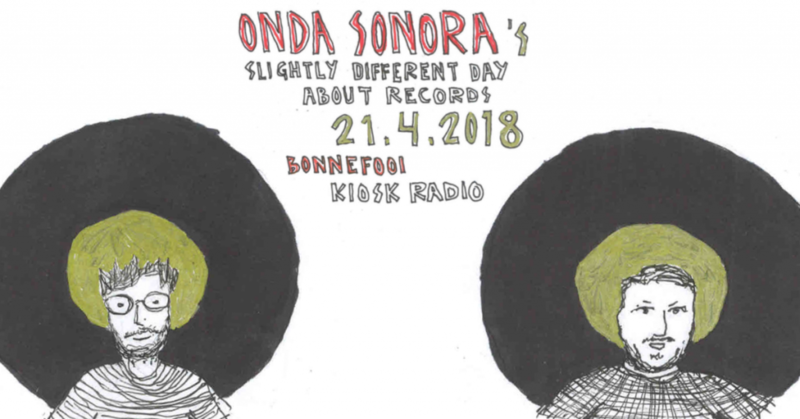 Every year Bonnefooi askes us to do something on Record Store Day. As an alternative take on things. Not that we don’t like the concept behind it but it has become something of a farce over the years. Record Store Day nowadays is too often an excuse to make easy money from lazy people by majors. Record shops have mostly left the equation and see it rather as a hassle than a gift. People who collect records all year long and have done so for many, many moons, rarely get excited by the special releases. Which are too frequently things you can find (relatively) easy but beefed up by pressing it on colour vinyl or wasting extra plastic to make it heavier in an attempt to impress those that now nothing with a 180g or more sticker on the sleeve. With all these shenanigans going on I’m still waiting for some killer albums to be pressed on wax. For years. Let me give 5 examples. Not even uber-hip funksters covering one of the songs hasn’t woken up someone at Crammed to reissue this one on vinyl. Stop sleeping and release this gem properly. This one probably went under most radars but its Dilla-esque soul at its best. Like Up Hygh was one of the best Dilla-not-done-by-the-man-himself hiphop outfits this is Daniel Sandell’s soul side. “Let U Go” is a classic nobody knows about. About time to do something about that. This went past everyone so hard I couldn’t find a clip, but Boomkat has some snippets to check though. The man shouldn’t need any introduction. His version of Nick Drake’s “River Man” can stand next to the original one with ease . Ever since I heard it on the CD version of Gilles Peterson’s “INCredible Sound Of” compilation I’ve wanted this on vinyl. The album on which it features is also CD-only and has more quality music on it. One of the better alt-soul acts that never became big. Benji B fans will know this. But they might have been a bit too far ahead of their time to get fully recognised. This album needs a proper release that even goes beyond my snobbish need to have it on vinyl. This should be known by more than an in-crowd. I could again refer to Vulfpeck and prove that they are doing nothing really new. But that wouldn’t do honour to this. Funk and soul that oozes fun. This track has been a personal favourite for years now. It’s one of the few reasons why I sometimes switch on my itunes when working. Which is a shame because I bought an extra record player this year just to avoid that urge when doing things in my little home atelier.